Kalari Kovilakam, Palakkad, Kerala, India is a palace for Ayurveda made in an area of 6.5 acres of lush green land with 3 natural ponds. And is located in the old princely capital town of Kollengode in the foothills of the Annamalai range, Kerala. This palace for Ayurveda may be the first and only one of its kind. And it offers magnificent palatial setting that took years of restoration to create. It was in the 19th century that they built Kalari Kovilakom, today, Kalari Kovilakom has been restored and recreated into a unique experience in wellness by CGH Earth Group. In Kalari Kovilakom they are combining the healing experience of India’s ancient medicinal system with the grace and scale of palace living. And you will see echoes of Ashram-like austerity. Yet, enjoy a rare level of amenities and service, with 21st century comfort. The centre is having 18 palatial suites categorised into The Old Guest Wing, with colonial western-styled rooms and The Palace Wing, with traditional Kerala architecture. Here treatments often combined with yoga, kalari and other methods to provide deep healing from within. The palace has extensive gardens growing Ayurvedic herbs. Kalari Kovilakom has 18 palatial suites that offer the experience of authentic palace living. The Old Guest Wing, with ’20s colonial Western-styled rooms. 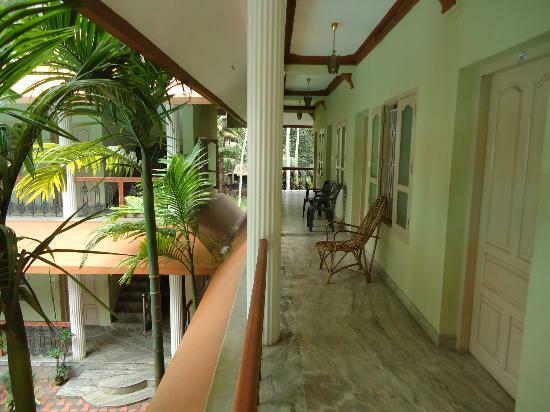 The Palace Wing, which has traditional Kerala architecture reminiscent of the ‘zenana’. There are no game rooms, no shopping expeditions, no television sets. The evenings are alive with chanting and hymns, unsullied by the sounds of the city. You are in a space like no other on earth that we know of. And Personalised Yoga practice and Trainings in Kalaripayattu ( Kerala’s martial arts) also cane be done here. Extensive gardens growing Ayurvedic herbs. Yoga, meditation and chanting hall. Spaces for music and cultural performances. At Kalari Kovilakom, there are regular training sessions in Kalaripayattu, held in a traditional covered pit arena on the grounds. So not only can you watch the experts at play, you can even take a crack at Kalaripayattu yourself! Simple Kalari movements are great exercises for strengthening and toning the whole body, and can make your treatments that much more beneficial. The centre has its own herbal and organic vegetable garden. Organic spices and cereals are used for making dishes. Ayurvedic vegetarian food is served based on the body constitution of persons. The dishes are prepared in a full-fledged kitchen with traditional ayurvedic features. Cuisines are prepared in brass, iron or clay vessels and with minimum of oil and less chillies. Recreational facilities include personalised yoga, Ayurvedic beauty therapy centre, yoga, meditation and chanting hall, well-stocked library, space for music and cultural performances. Activities offered include training and demonstrations of Kalaripayattu, Kerala’s traditional martial art with treatment rooms, catering to 10 persons simultaneously. Please note: When you are there for treatments no tours are allowed and treatments duration is minimum 14 days.